With the Gardenfall water feature, it's easy to enjoy the soothing sights and sounds of water falling gently passed polished river rock year-round. 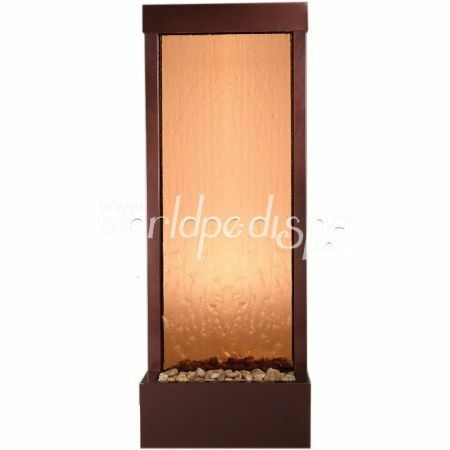 Designed for today's decors, its clean, contemporary design enriches any space, while its humidifying and air-cleansing properties promote a healthier living environment. 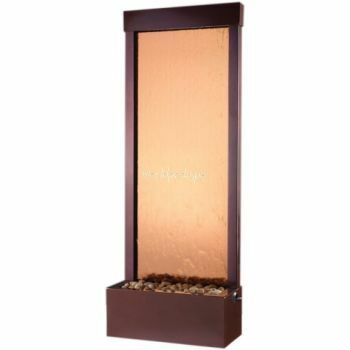 The GF6WM water fountain features a bronze mirrored surface and dark copper frame. Quiet operation and durable materials make the Gardenfall suitable for both indoor and outdoor use.